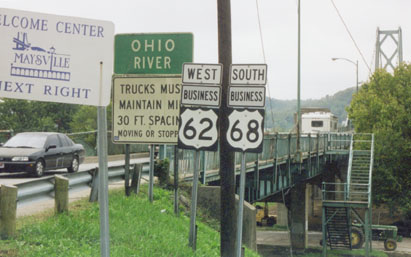 At lower left the railroad underpass is visible, leading to what is now known as "Limestone Landing", the original highway terminus. 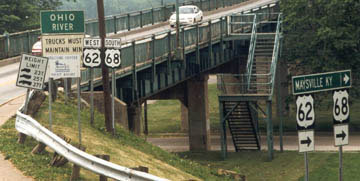 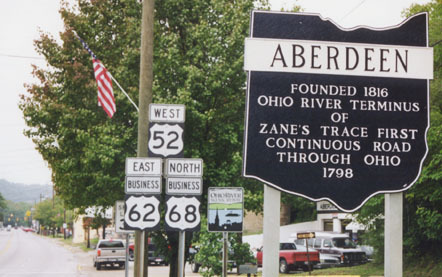 When this bridge was completed in 1931, it is possible that the US 62-68 designation was extended across the river, to the junction with US 52 in Aberdeen. 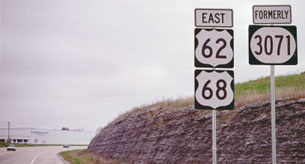 But even if so, that would have been very short-lived, because US 62 was extended up to Niagara Falls in 1932, and the following year US 68 was extended up to Toledo. 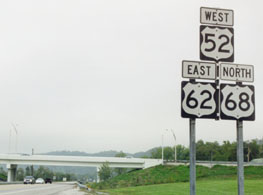 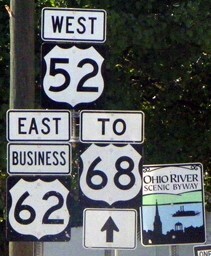 US 68 is signed as an east-west route in Kentucky, but it is north-south in Ohio. 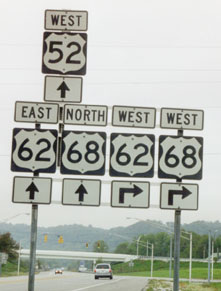 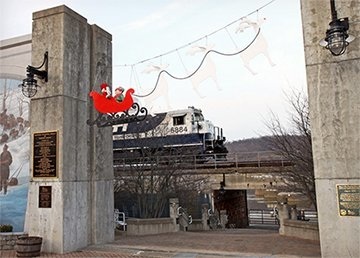 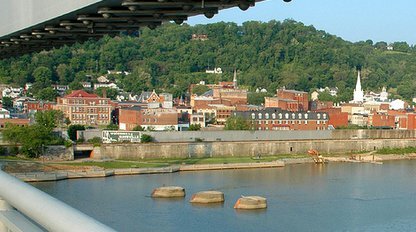 The Maysville area is where directional signage changes. 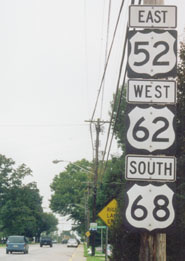 US 62 is signed as an east-west route in both states, but it could just as easily be considered more of a north-south road in this area. 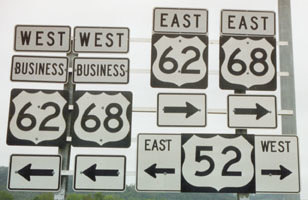 And partly for that reason, there are some confusing "wrong-way" concurrencies. 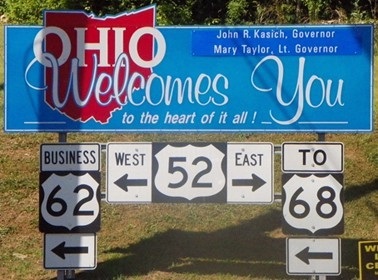 These photos will clearly demonstrate that even Ohio officials have struggled with how best to sign these highways. 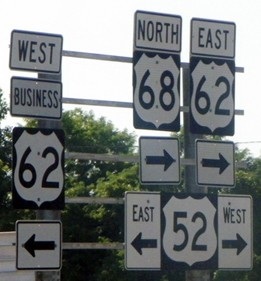 Since US 68 is a north-south route in Ohio, that caused a potentially-confusing "West-East-North" multiplex... which is possibly the reason Ohio changed it. 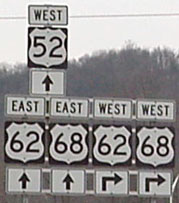 There are not many places where an assembly like that second one can be found, with a single route having both "North" and "West" directionals. 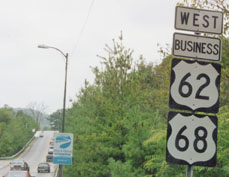 Recently the US 68 sign was changed from "West" to "South", and the US 62 sign has been completely removed (it is unclear why either of those changes were necessary). 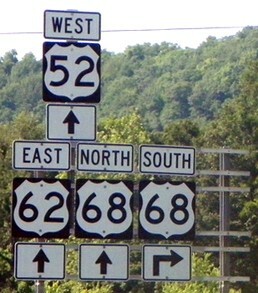 Incidentally, that was not the last trailblazer on the Kentucky side; there was one more just past the junction with KY 3056. 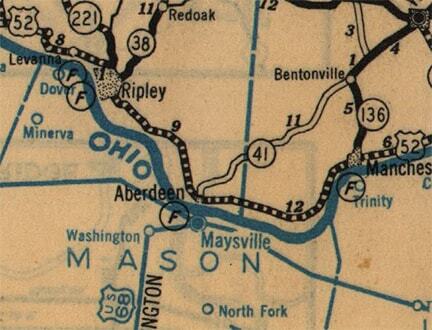 But all signs I observed in Maysville were consistently east-west.